11673 ft (3558 m) . The Crary Mountains are an isolated massif in eastern Marie Byrd Land consisting of four major shield volcanoes. 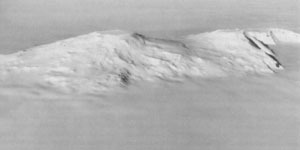 The second highest of these (and the fifth highest volcano in Antarctica) is Mount Steere, which is roughly 8 million years in age. 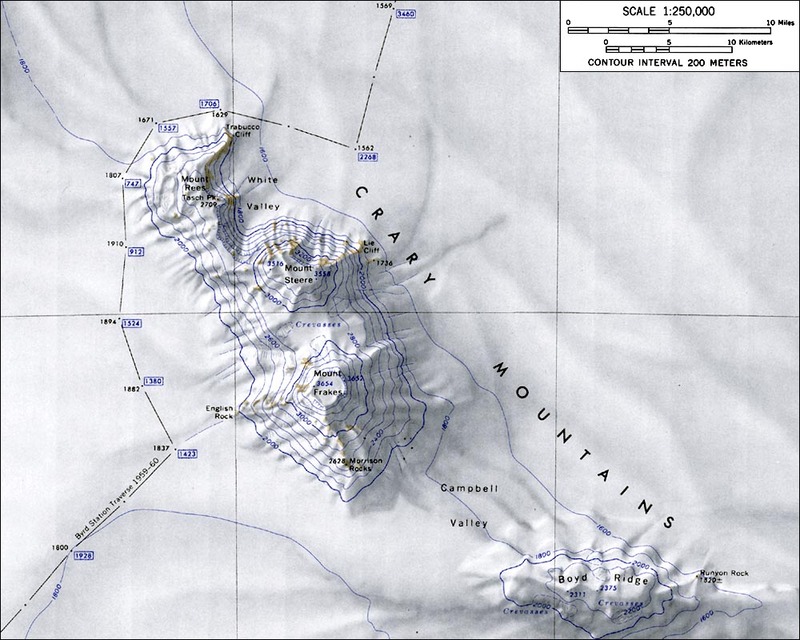 Although a 2 mile (3 km) wide caldera can still be seen at its summit, a large cirque has been carved into the northeast flank of the mountain, producing a steep slope which drops directly from the caldera rim for over 5500 vertical feet (1700 m) onto the flats of the West Antarctic Ice Sheet. 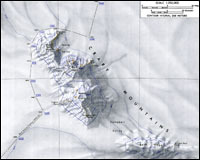 Just north of this is a deep subglacial basin, whose floor lies 1.2 miles (1900 m) below sea level and is filled by ice over 2 miles (3400 m) thick.